Thank you for stopping by! 2014 ended with a bang and I look forward to making an even bigger splash in 2015. I appreciate you coming along for this wild ride! Favorite foods: Pickles, and I eat dessert EVERY DAY! I want to make a difference in the community. Let me know how I can help! For all media or appearance inquiries, please contact Paul Doyle at Doyle Management. Now a world-class middle distance runner, Molly first came to track and field in unusual circumstances. 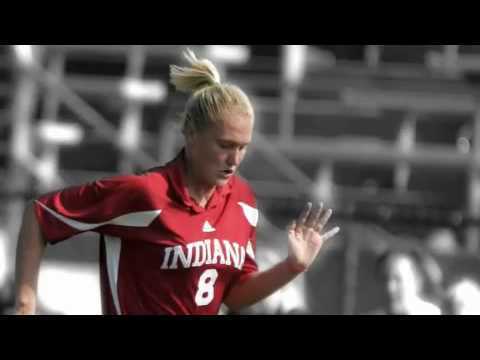 Molly arrived at Indiana University as a power striker for the Hoosier’s soccer team. After her freshman year, Molly made the tough decision to turn her soccer cleats in for a brand new pair of track spikes. This transition was the result of doing what was best for her body, as she had endured four major knee surgeries to correct both her ACL’s and Patellar Tendon. She recognized that competing as a track athlete would bring her more success and maintain the health of her knees. Four years later, Molly graduated from Indiana University as a two-time All-American, two-time Big Ten Champion, NCAA Runner-up and the Big Ten Record Holder in the 600m. Stepping onto the professional circuit in 2011, Molly wasted no time showing she was competitive at the elite level. She finished in the top 10 at every meet she competed in claiming 2 wins one in Stockholm and at the Adidas Grand Prix in New York. Molly finished the 2011 season ranked 5th in the USA. 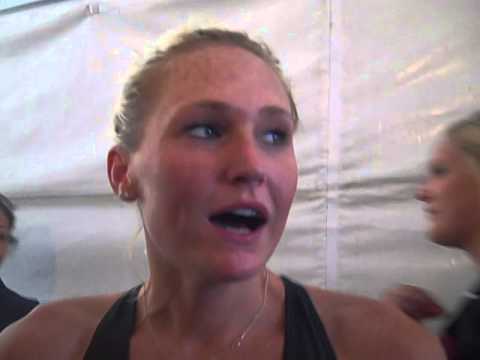 In 2012 Molly continued her successes with a win at the London Diamond League meet & being named the USATF HP meet Champion. Molly was an Olympic Trials finalist, but just missed the USA Team by .22 seconds as she finished fourth in the 800m. Molly finished her 2012 season ranked 4th in the USA and 2nd by Track & Field News. In 2014, Molly bounced back from an injury and was the bronze medalist at the USA Outdoor Championships in Sacramento. She finished the season ranked 3rd in the United States and 10th in the world by Track & Field News. With her sights on the Wold Championships, Molly started the 2015 season strong by adding the title of American Record Holder to her accolades at the IAAF World Relays, in which she was part of the gold medal winning 4x800 team.